Working alongside the launch team from Novartis Animal Health, QT Event Management were tasked with creating a 3 day event which would successfully launch the new livestock anthelmintic, ZOLVIX. 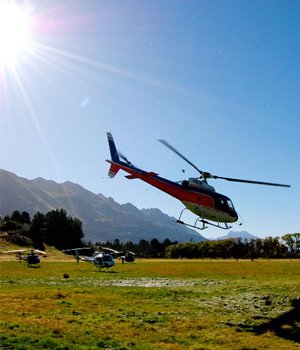 With Queenstown chosen as the location due to its natural beauty and link to agriculture, the brief was to put together a world class program including interactive conference sessions, hands-on practical experiences and unforgettable social functions. You only get one chance to get it perfect with a product launch of this scale. With influential industry leaders, scientists, veterinarians and of course media invited from the around the world, this event had to run exactly as planned. The launch of ZOLVIX was hailed as an outstanding success with the program created by QT Events coming together seamlessly. A press event was held prior to the delegates arrival and allowed members of the media a sneak preview of the product and launch program. This was the talk of the trade with the story covered by all of the attending journalists Not one cloud appeared during the event, supporting Queenstown with its image of the most beautiful and inspiring settings in the world to hold a launch event. The brand characteristics of ZOLVIX were delivered from the first contact with the delegates. Designed with integrity and sophistication, the branding throughout the program displayed an air of quality that matched the product. An eye catching invitation pack was sent from Europe to an influential selection of industry leaders, scientists and veterinarians. The invites directed delegates to a custom designed registration website with program itinerary and travel arrangements. At Queenstown airport, delegates were met by the QT team and transferred to the Heritage hotel on branded buses. The opening night was held in a marquee overlooking Lake Wakatipu. After a BBQ welcome and the chance to relax and mingle, guests were treated to a Maori powhiri and high energy fire show. The ZOLVIX brand was launched the next morning during the first conference session, The Story. A custom made stage and lectern had been designed to impact on the significance of this new and exciting product. After a celebratory cocktail function and lunch on the roof top of the Icon conference centre, the session resumed with The Science of the product. That evening, a dinner reception was held at the Skyline Gondola where delegates enjoyed the spectacular view from a fully branded ZOLVIX venue. On day three the group sailed across the lake aboard the vintage steamship, the TSS Earnslaw for an exclusive lunch at Walter Peak. From here they travelled on to Mt Nicholas, a high country farm, for the final part of the conference sessions, The Practical. Thousands of willing sheep were on hand to give the delegates a chance to try out the new delivery system for themselves. A fleet of helicopters arrived at sunset to fly the guests back across the lake to Moonlight Stables for an unforgettable closing party. The execution of the event was perfect. The delegates consisted of key New Zealand customers and international VIP delegates who witnessed “the most impressive product launch in the history of animal health”. When compared with companies offering similar services around the globe Novartis Animal Health has not found a company that betters the service given by QT Event Management. There are many larger event companies that match the service but at greater cost and many that do not compete at the level of execution.